The perfect table decoration! 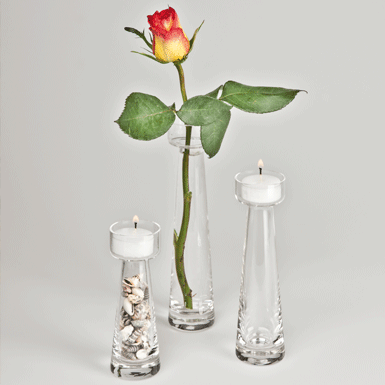 Fiore can be used as a vase or as a holder for tealight candles. It can be filled with sea shells, sand or other materials.